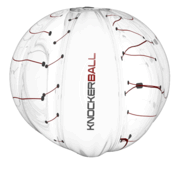 Order your Knockerball Event NOW!! INCLUDES: Social Media, Pictures and Videos shot by the Knockerball Hampton Roads Staff AND a Dedicated High Spirited Event Specialist to keep everything exciting and SAFE!! WE CAN LENGTHEN THE EVENT TIME IF NEEDED! We book Full-Day and Half-Day Events for Businesses and Organizations Too.